One of the projects of the Saint-Petersburg Music House – the “Higher Music Performance Courses” – has been under way since 2006. The Project combines "YOUNG INTERPRETERS OF RUSSIA" concert cycle and SERIES OF MASTER CLASSES. The Project aim is to cultivate the skills of young talented musicians just starting their solo career in classical music, as well as to increase their competitiveness to honorably represent Russia at the top international music competitions. The “Higher Music Performance Courses” is a startup program for all soloists of the Saint-Petersburg Music House. A special focus is put on young musicians from the Russia provinces where we can observe both poor conditions for concert activities of the young soloists and difficulty of participation in master classes due to far locations. 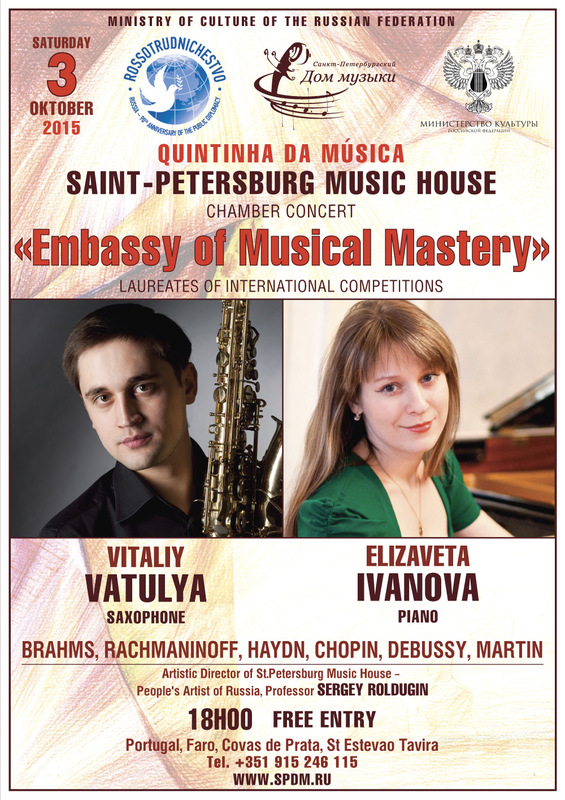 All programs of the Saint-Petersburg Music House are funded through the federal budget and charitable funds. Selection of the applicants and further participation in the "Higher Music Performance Courses" are FREE. We invite Russian citizens such as pupils of specialized secondary schools, students and graduates of the Russia music universities preparing for international music competitions to take part in the “Higher Music Performance Courses”. Age of the participants: 16-30 years. Repertoire: competitive program of international music competitions among solo performers. For conditions of participation in selection, see "Participants". The participants of the "Higher Music Performance Courses" who have won prizes or awards of any music competitions after cooperation with the Saint-Petersburg Music House will have great possibilities of further professional growth and good chances for future fruitful contacts.